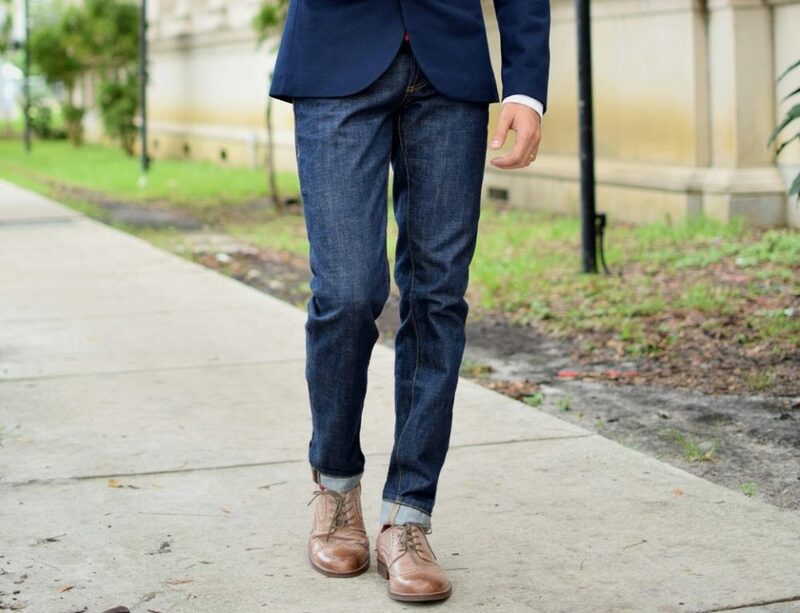 Pairing a set of dress shoes with your best jeans is much more of a highwire act than most guys recognize. 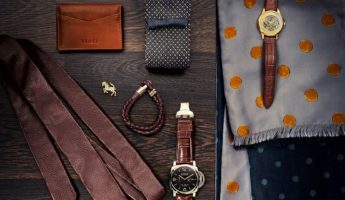 The unusual combination of influences can work as a smart, savvy, contrasting image that will make you shine with sartorial glory. It can also easily turn against you, leaving you looking like a fraction of a man who isn’t able to make proper clothing decisions. 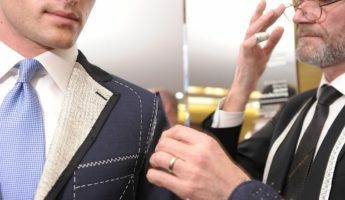 Threading this particular needle and keeping all the moving parts working in tandem to achieve a look of casual elegance doesn’t require much, but if you go out there without a plan, then you’re going to be found wanting by women, business partners, fashion mavens, and those who know how to put together a snappy ensemble. 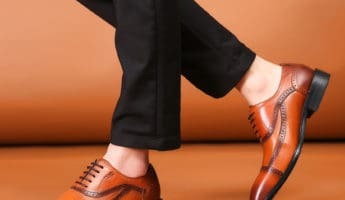 When you’re ready for the ultimate in business casual, all you need is this guide to wearing a pair of dress shoes with jeans. 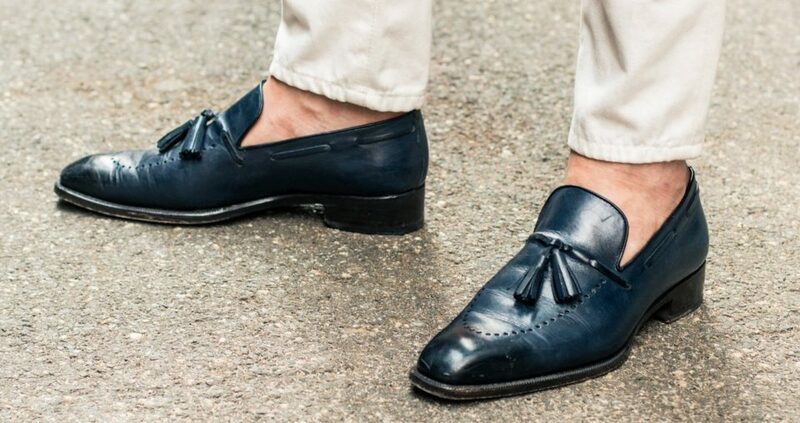 First off, a lot of guys try to go completely sockless when they go for this look and it is a failure each time. This isn’t a set of boat shoes. You’re trying to enhance your casual look to include more style, not less. Wearing no socks, or no-show socks says one thing: I put on whatever shoes happened to be closest. It speaks of sloth and laziness which negates the look entirely. Gleaming white socks are little better than going sockless, as they declare in sterling ivory splendor: I just grabbed whatever was at the top of my drawer! This isn’t a pick-up basketball game, so leave the white tube or crew socks out of the rotation. Pure black socks go too far in the other direction. They claim you wanted to dress nicely, but your slacks were in the laundry, so you went with jeans. Black is too formal, while white is too casual. The answer here is to go with a pattern. Frankly, bright neon pink is better than choosing white or black, because it says you had to made a choice to put those on. Go splashy, have fun, be ridiculous, just don’t make it look like you went with the basic options. A set of dress shoes doesn’t work with just any cut of jean. If you go with a relaxed or loose cut pair of jeans, they’re going to be too blousy. 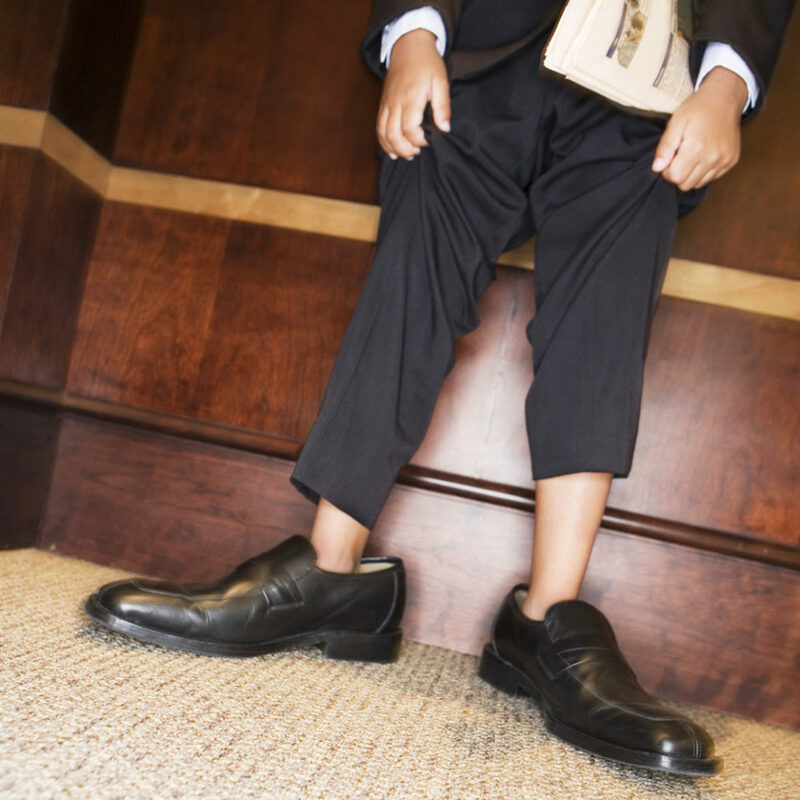 Dress shoes make your feet appear smaller, which means you need to mitigate how much fabric spills out over them. Get a pair of slim fitting or regular-fit jeans. You want them to be close at the waist and hips with minimal puffing down the legs. Boot-cut jeans aren’t great, but if you’re going with a higher dress boot, you might be able to pull it off. Use with caution. Darker is almost always better when you’re putting jeans with your dress shoes. Indigo tends to be ideal, with navy and black in a battle royale for second place. 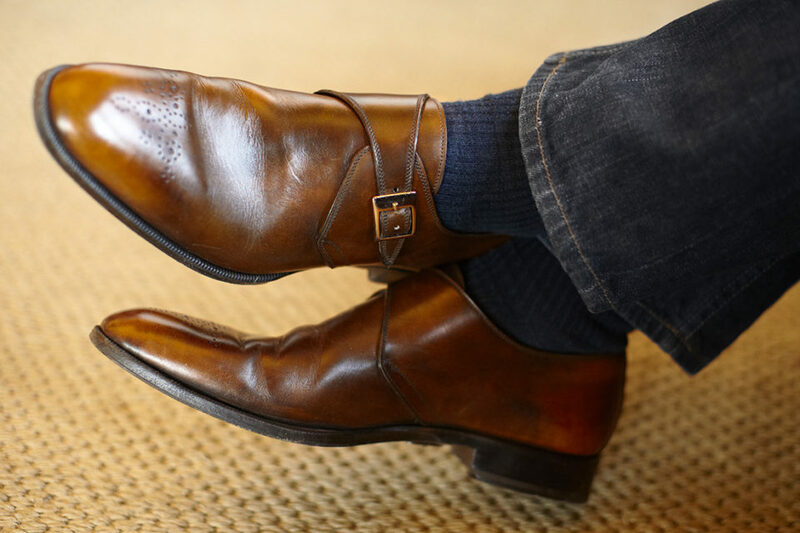 Since dress shoes tend to be darker, the lighter your jeans are, the more your footwear looks out of place. You never want to be wearing a pair of black jeans with black shoes, because it then looks like you’re trying to match them. A minimal amount of contrast is necessary to land this look. 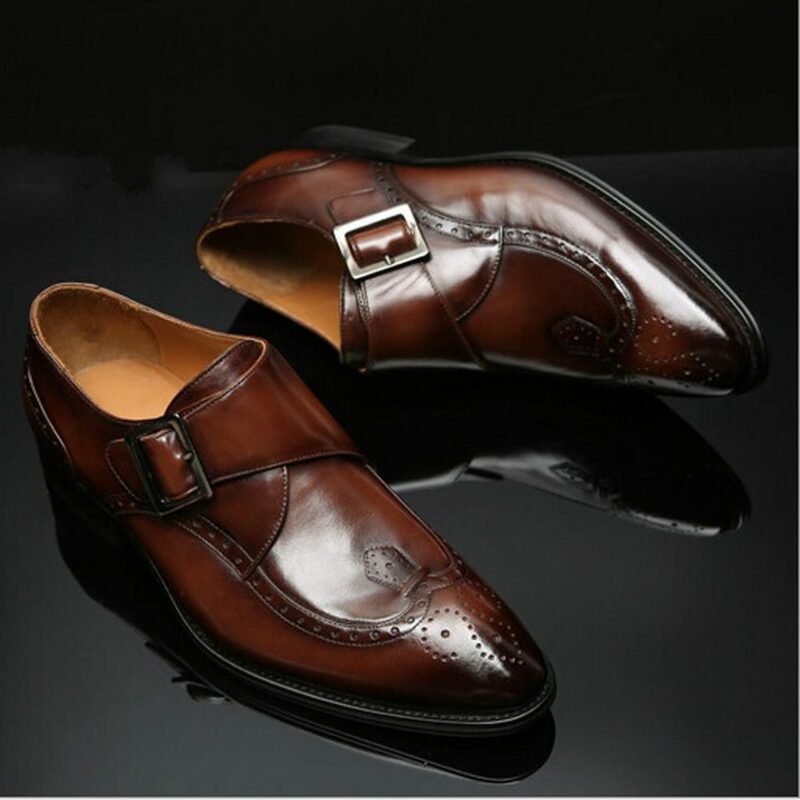 Camel shoes or a rich brown go with almost any jeans, particularly those in the lighter set. Since you should be going dark with your jeans, black shoes can be questionable. Just make sure they aren’t too close in color to the bottom of your jeans and you’ll walk out a winner. Do not even try to pull off the distressed jeans look, those with holes, or battered gear you just wore to the dog park. 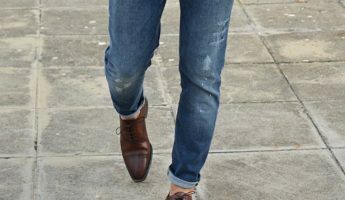 As with socks, the worse your jeans look, the more it seems like your dress shoes were an afterthought, not an intentional maneuver. From the soles of your feet to your waist, you’ve gone to the trouble of telling two different tales. The shirt is what is going to help tie these together. A hoodie, a tee-shirt, or a jersey sides with the jeans and will drag you into the purely casual tier. A polo is the least you can do, with a button-up shirt highly preferred. Untuck it if you want to prove you’re off the clock. 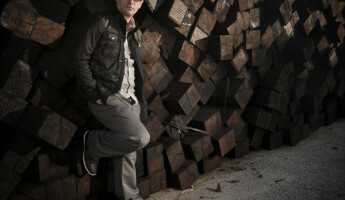 Generally speaking, a jacket is the ultimate way to top off a dress shoes and jeans attire choice. 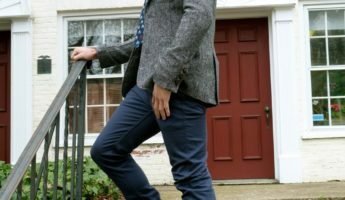 Wearing a sport coat with jeans proves you’re paying attention to what you wear, and if it blends with your shirt and shoes, then you’ve just managed to combine all the disparate aspects, just like a man of style should. Have a scotch, winner. The jeans say you’re not trying too hard, and your accessories should tell the same story. 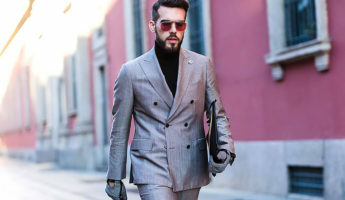 As using a sweatshirt pushes you too deep into casual territory, throwing on cufflinks, a pocket square, a tie with clip, a vest, and a hat can suddenly drag you too far into the boardroom world, making the jeans look like a mistake. You should have a belt that matches your shoes, and hats are rarely a mistake with this look. 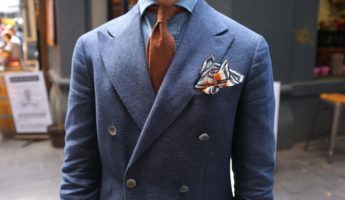 Pocket squares should be kept to the barest minimum if used at all. 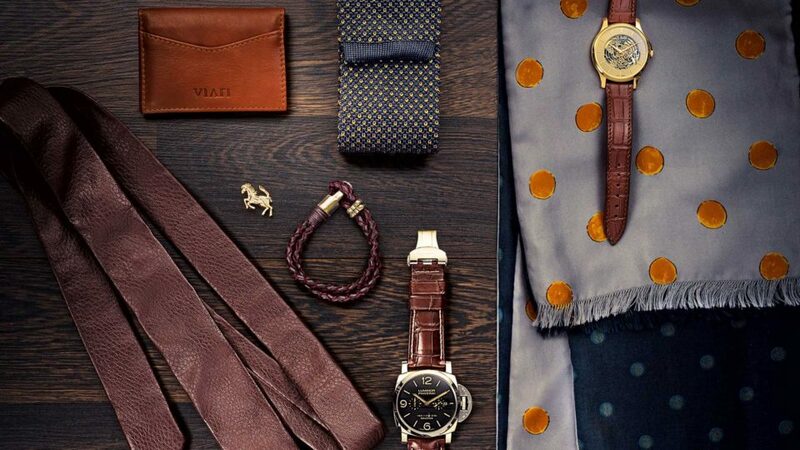 Ties should be casual, usually woven with a square base, or left off entirely. This is highly dependent on the person, so play around with different bits and bobs until you’re sure you’ve found the right balance of smooth and playful. 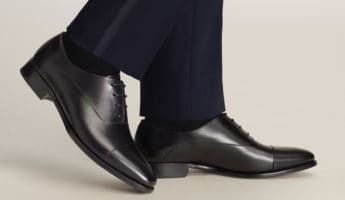 As stated above, dress shoes are going to make your feet seem smaller, which can kill this whole guise for bigger chaps. 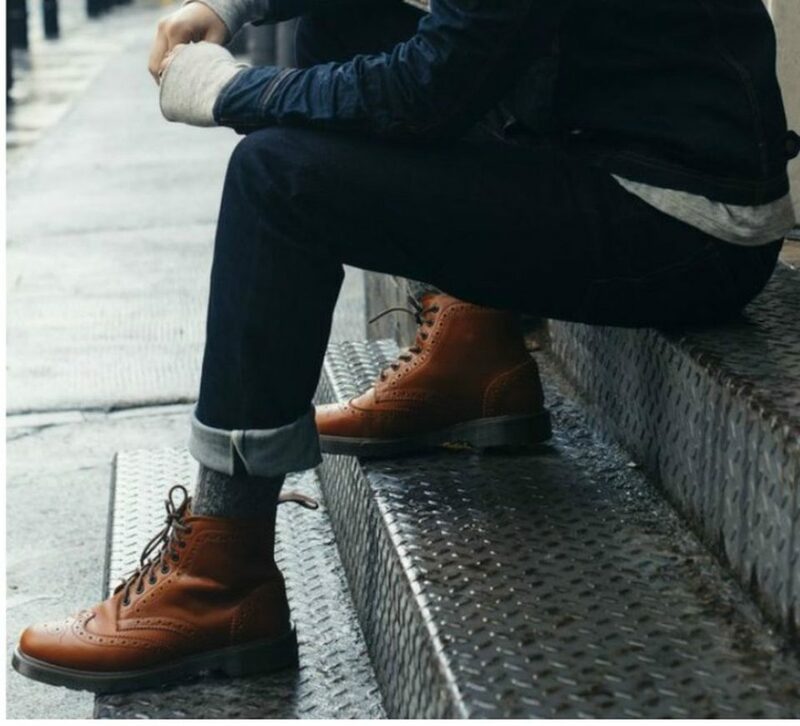 Slimming down the jeans helps, but you might also need to bulk up the shoes as best you can. Consider going a size larger if necessary so as to avoid looking like you have mincing little feet being hidden by jeans. Cuffing your jeans can help with this, should you have the length to do so. Consult a tailor if all else fails. Whatever else you do, avoid having shoes that sparkle like they’ve been spit-shined and polished while your drill instructor stands over you. 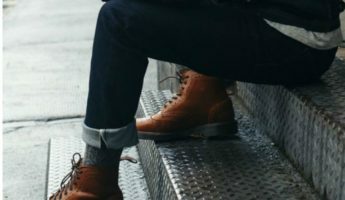 When you combine dress shoes with jeans, you’re aiming at semi-casual, so don’t turn your feet into a high-powered luncheon while your legs are looking for a stool at the pub. They need to flow together to create a complete look. The more your shoes and jeans seem to be at odds, the more you look like a tacky sot. 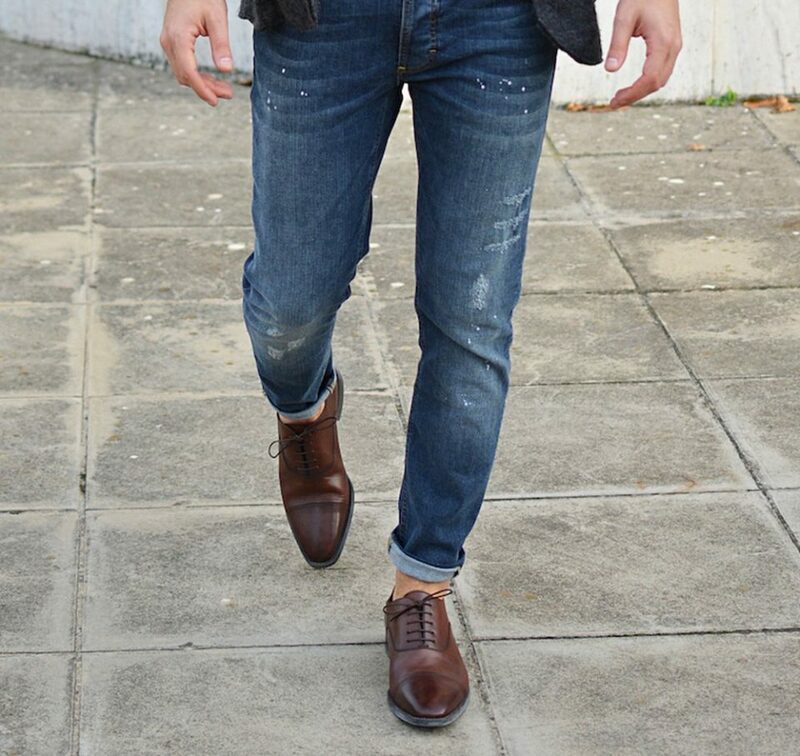 In addition to knowing the right color combination of jeans and shoes, getting your style right is half the battle. 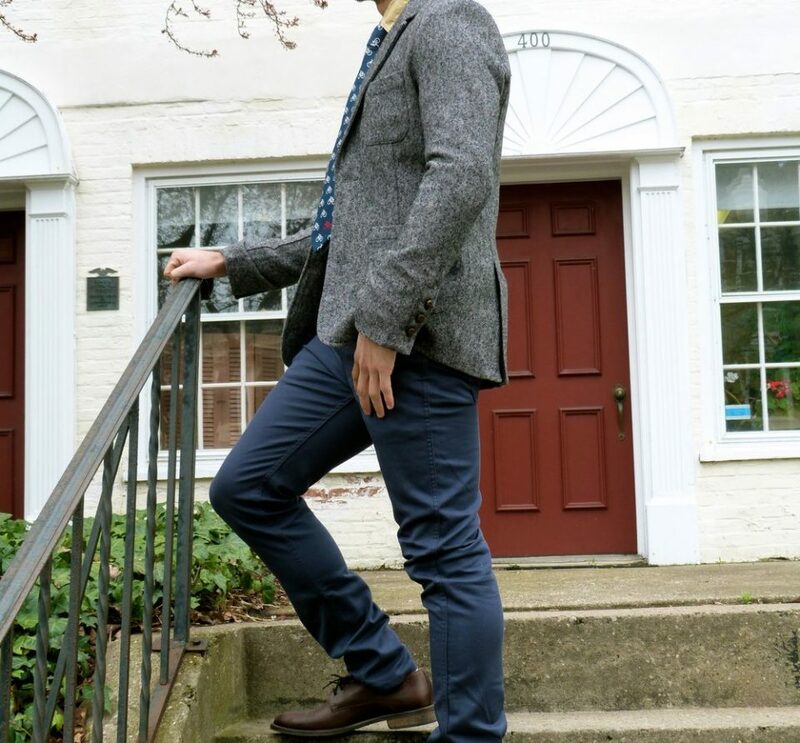 Oxford shoes are mostly overkill, as are wingtips. 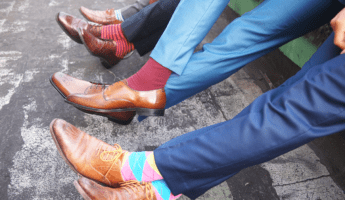 Loafers can be perfect with the right set of smashing, patterned socks, and monk straps are absolute killers that tend to also look bulky. 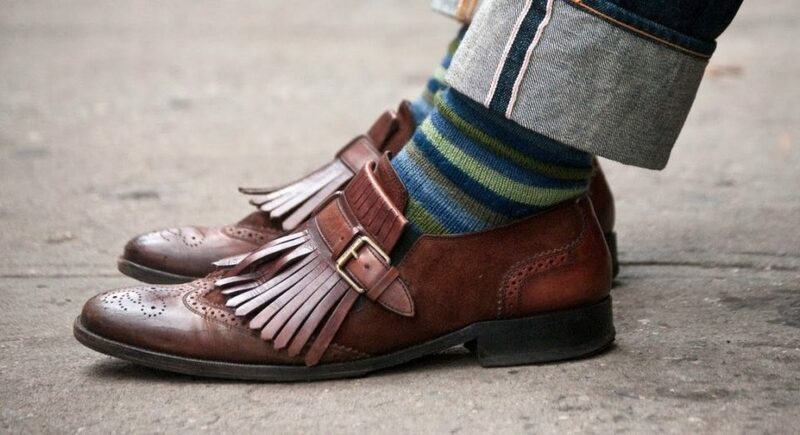 Brogues and derbies can make the grade, particularly if you wear them with a cuff. A matte finish is generally the way to go, or a brushed rather than truly shiny polish that glows instead of sparkles.